This is a picked upload! It showcases some of the best talent and creativity available on MTS and in the community. ***Updated 7-12-12 Fixed sims not being able to smoke from the same pack at the same time, and adjusted the chance of getting a smoking habit. ***Updated 7-8-12 Fixed moodlets not showing. 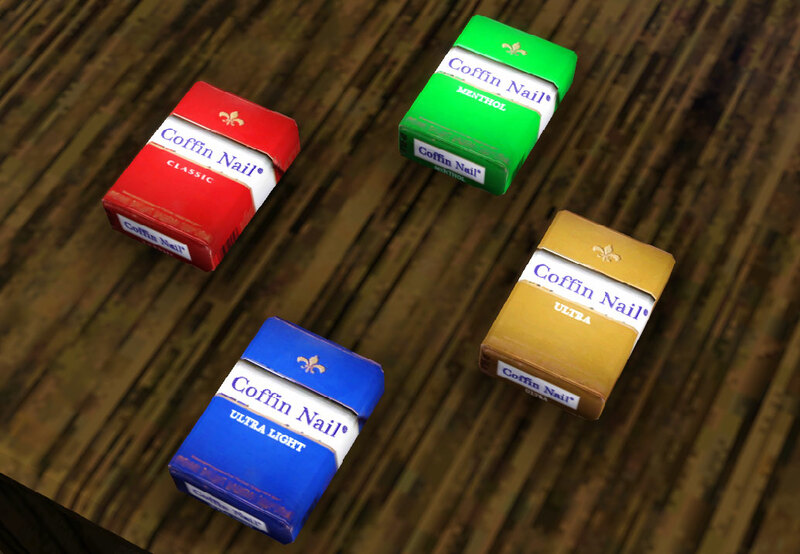 This mod gives sims the ability smoke cigarettes to your game. To use, in Buy mode go to Misc Decorations and purchase a pack of cigarettes for 6 simoleons, and place it on a surface(NOT the floor/ground). In live mode, click on the pack and select "Have Smoke". The sim will walk over, grab a cigarette, and start smoking. 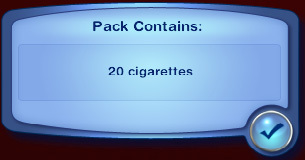 You can also click on the pack and select "Show Contents" to see how many cigarettes are in the pack. Additionally, the pack can be put into inventory and the same options are available. Smoking a cigarette removes Stressed, BuzzCrashed, FeelingAnxious, and Strained buffs. It adds SmokedCigarette and FeelingCalm buffs and increases Fun motive. 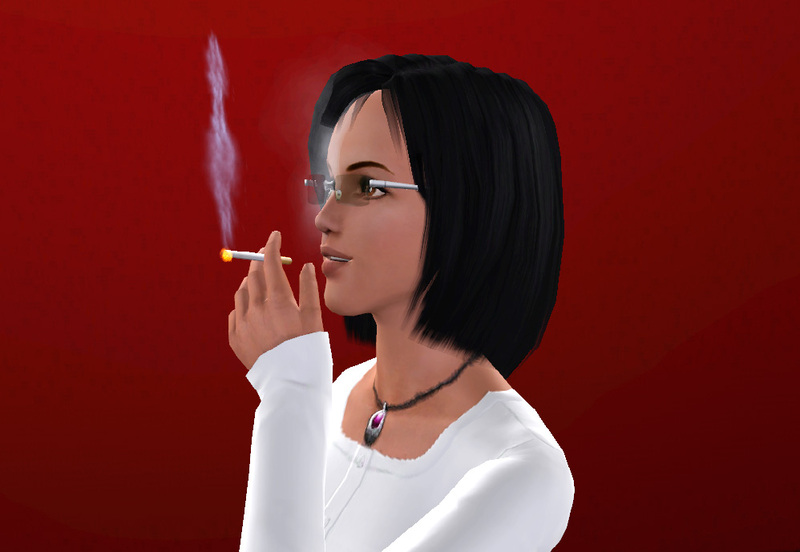 Smoking has a chance of developing a smoking habit(sim will get SmokingHabit buff). If SmokedCigarette buff is allowed to end while having a smoking habit, Fun motive will be greatly reduced, and Stressed, FeelingAnxious, Strained, and NeedCigarette buffs are added. 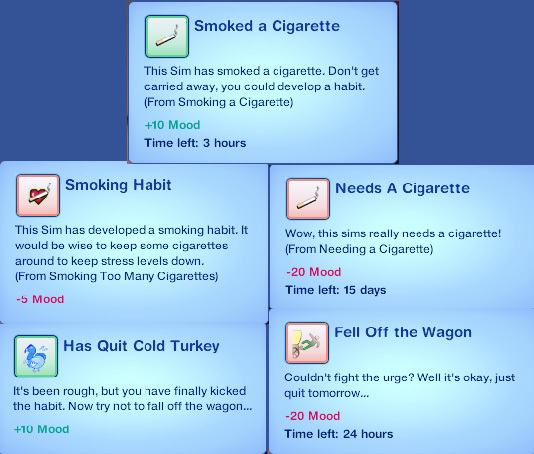 If you have the QuitColdTurkey buff, and your sim smokes again, you get the SmokingHabit buff again and a FellOffTheWagon buff, and you'll have to start the quitting process all over again. 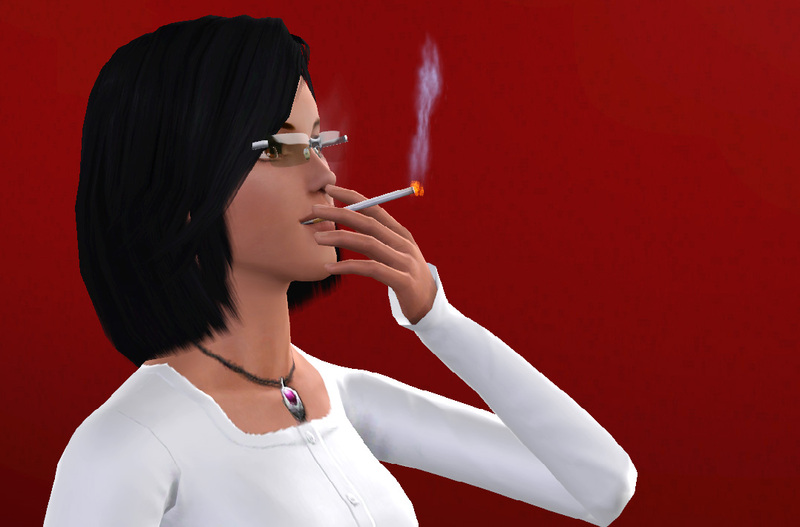 -If you don't want your sims addicted to cigarettes, DON'T BUY CIGARETTES. 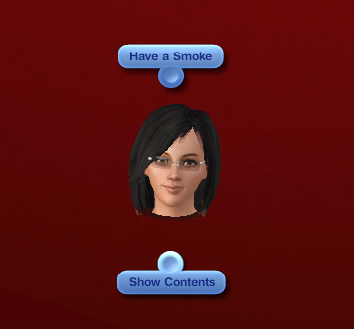 -Smoking is autonomous, so if you don't want other sims smoking, keep the pack in inventory. -Sims will only smoke while standing. -Eco-friendly and pregnant sims will not smoke autonomously. Fatter sims will get clipping in the animation. The fatter the sim, the more clipping there is. This mod should not conflict any other mod, and it does not modify the game in any way. It's just an object. If you would like to submit a translation, download the xml here: http://www.modyourpanties.com/hosti...ettemodSTBL.rar. Translate the parts between the <STR></STR> tags and PM me with a link to the translation. I will release a version with the translations when I have enough. Made using Blender, s3pe, s3oc, TextureTweaker, and Blender Animation Plugins. 8985 people have said thanks to cmomoney for this download. You must have the expansion, game version or stuff packs listed above installed to use this custom content. Please see the post text for any exceptions.